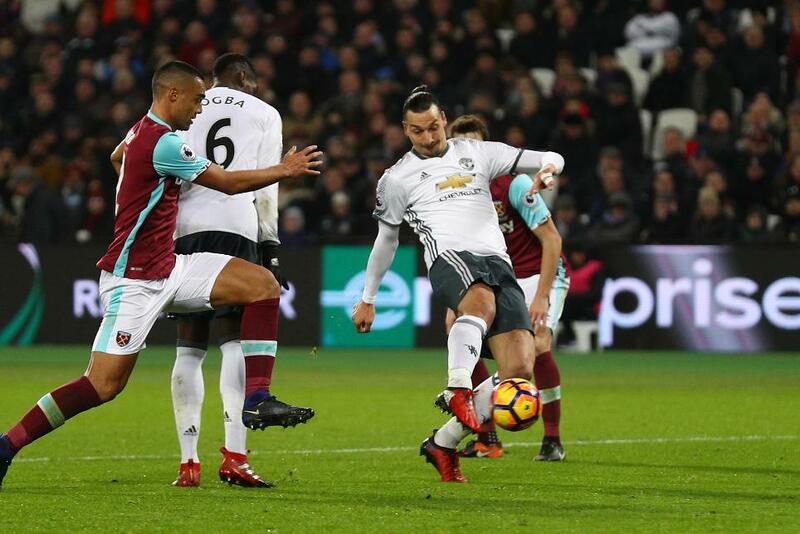 Juan Mata and Zlatan Ibrahimovic secured Manchester United a sixth league win in a row, winning 2-0 against 10-man West Ham United. Sofiane Feghouli was sent off for a foul on Phil Jones after 15 minutes, the earliest red card of the season. Manchester United almost led when Antonio Valencia shot at Darren Randolph before Jesse Lingard’s follow-up hit a post. After the break Michail Antonio spurned two chances for West Ham, the second one when through one-on-one. Two minutes later, two United substitutes combined as Marcus Rashford cut the ball back for Mata to finish. Ibrahimovic scored his 13th league goal to secure the three points that lifted Man Utd level with Spurs in fifth on 39 points. West Ham drop to 13th on 22 points.